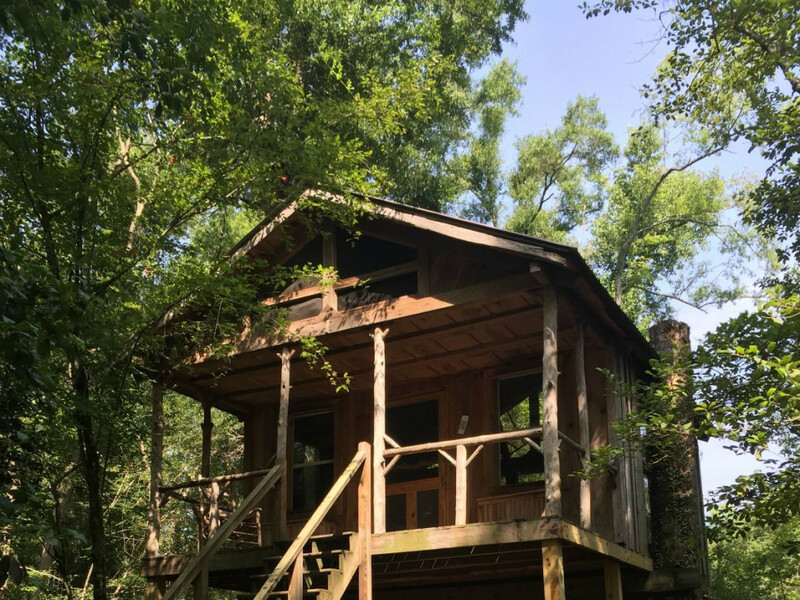 Tucked away on a 150-acre private wildlife refuge, the Edisto River Treehouses stand high in the treetops on the riverbanks overlooking the quiet, winding Edisto River. Nestled into a forest of Cypress and Live Oak trees, the three treehouses blend perfectly with the natural surroundings, yet are fully equipped with essentials for a perfect night’s stay in the woods. Each one comes with a grilling deck, an outhouse nearby, and interconnecting trails over streams. 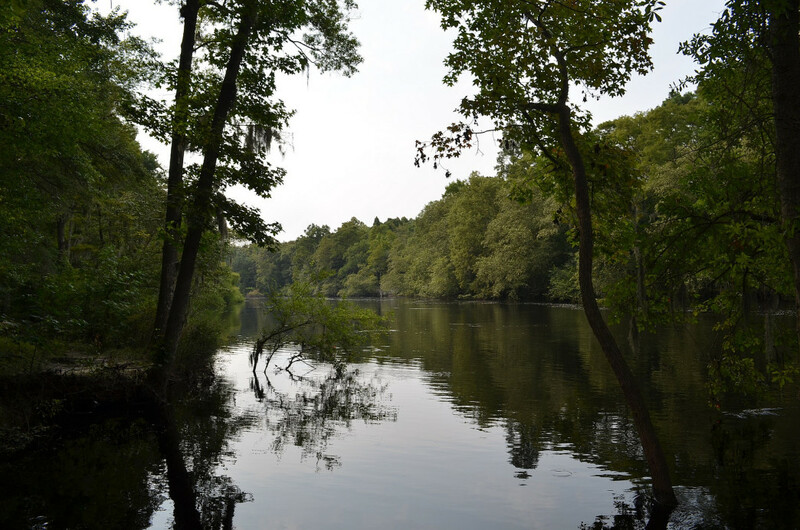 This paddling adventure down the Edisto is the perfect group trip, peaceful getaway, or family excursion. 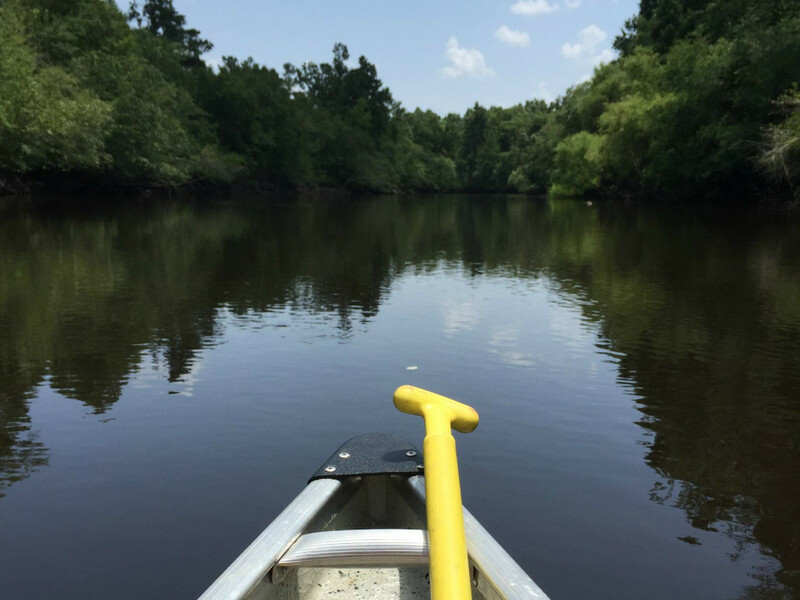 The unguided overnight (usually a Saturday and Sunday paddle) begins at Carolina Heritage Outfitters in Canadys, SC, where the staff provides you with a map and a canoe then shuttles you about 30 minutes north to the load in spot. From there, it’s just you, your canoe partner, and your river skills until you reach the treehouses about 4 hours downriver. Whether you’re an experienced paddler or a first-timer in a canoe, the river has the power to calm both mind and body and leave you awe-struck by the surrounding natural beauty. 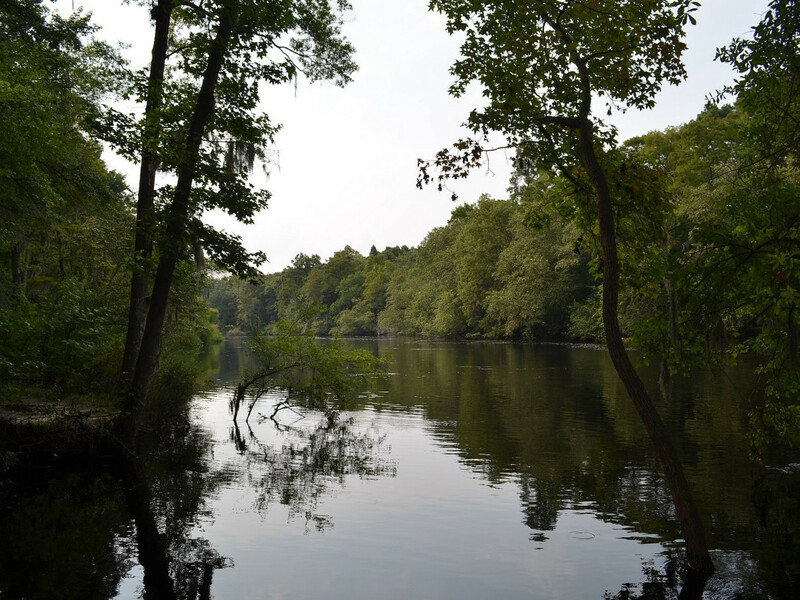 The Edisto has many twists and turns that reveal pristine sandy beaches perfect for a picnic lunch and a swim—many of which you’ll enjoy if you’re traveling in the heat of the summer! Around 3.5 hours into the paddle, you’ll cross under a set of power lines used as a point of reference by the outfitters, and about 20 minutes later, the first treehouse appears hovering over the river’s edge. Approaching this primitive little cabin evokes what can only be described as a giddy, childlike excitement. A few more anticipatory paddle strokes later and you arrive at your very own treehouse on the water, seemingly worlds away from everything. Once you’ve pulled up your canoe and unloaded your gear, you’ll probably have enough daylight hours left to explore the island—by foot or by float. Since it is an island (and often a swamp when the river level is high), the bugs and reptiles are there. Repellents will help keep the pesky mosquitos at bay, but be on the lookout for snakes when walking the trails. You're in their territory after all. The treehouses come stocked with plenty of citronella candles and tiki torches, so there's no need to pack a ton from home. The next ten hours of your trip are by far the best: grilling out on the deck, lighting the pre-laid fire in the fire pit and roasting marshmallows, listening to the variety of bird calls, laying in the hammock near the water’s edge, and enjoying a great night’s rest in the cabin loft. In the morning, you’re only required to be out by 11AM, so the morning is yours to enjoy the tranquility of the treehouses before another day of paddling. The return trip home is simple and a great float coming in at just under 4 hours (not including stops off to swim). Day two of paddling can feel longer than the first, but with a good lunch and a few stops to jump in the water, the paddle home is really enjoyable. When you pass under I-95, you’ll have a little less than an hour before arriving at the outfitters. Once you’re there, the clean up is simple. Just pull in the canoe, store your paddles and life vests, toss your trash, and head home. So when is the best time to go? We’d argue any time, really, but if you were looking to avoid possibly bad weather and a high river, aim for the middle of the summer. Once the season opens, spots book up quickly, so definitely try to plan a couple months in advance. It is possible that your trip could get cancelled due to inclement weather, but Carolina Heritage Outfitters makes sure to reschedule you immediately. 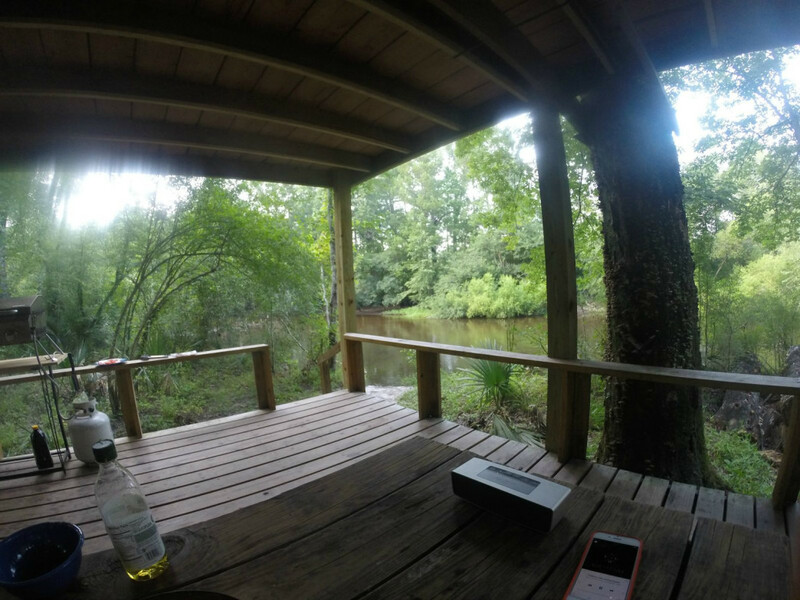 The Edisto River treehouse experience an awesome time for all involved and is one you’ll be telling stories about for months to come!